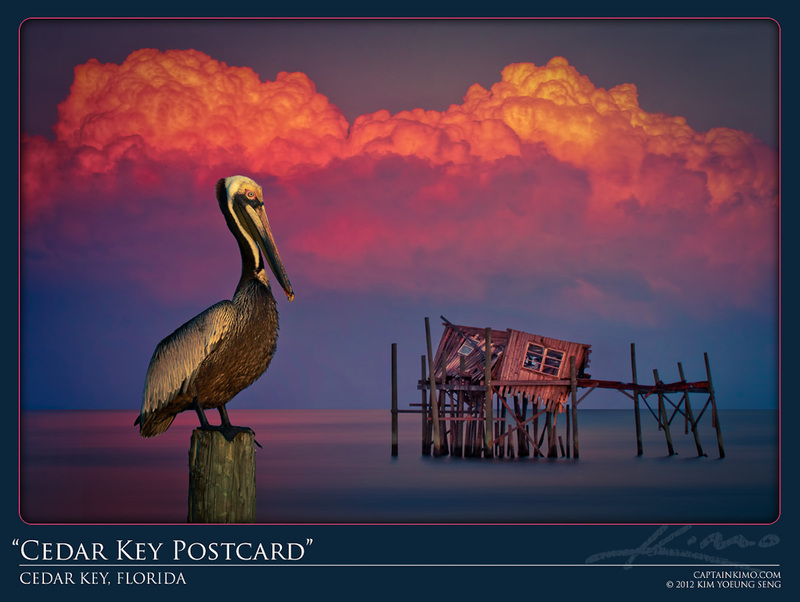 This photo was taken Friday evening during sunset at Cedar Key, Florida. I wanted to create a picture perfect postcard image so I did a little digital alteration to get it just right. This was only two exposures, one for the Pelican and the other for the stilt house. The Pelican was shot in the same area for the purpose of creating this image. The dramatic cloud was actually there in the background which made it easier. After smoothing out the water a little, I popped in the Pelican and tone mapped the image in Photomatix Pro to get the vibrant colors.